Put any type of image watermark on PDF; PNG, GIF, JPG, JPEG, etc. Software is available to stamp a desired watermark on your confidential PDF files to protect it with a copyright on it. 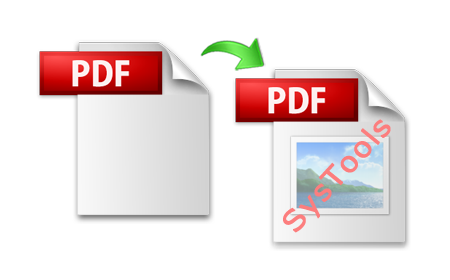 It allows adding watermark to multiple PDF files also saved in a folder. You can put watermark on PDF files in two ways; Add Text Watermark or Add Image Watermark. Thus, you can stamp a certain text or logo/image also to the PDF file in order to patent it. You can set the position of the watermark as per your choice as; Bottom Horizontal, Top Horizontal, Left Vertical, Right Vertical, Top Left to Bottom Right and Bottom Left to Top Right. Software also allows setting the Font, Size and Color of the Text to be applied as watermark as per your requirement. Once these settings are done transparency of the text can be adjusted accordingly. Image of watermark can be also positioned as per requirement. There is scaling option available. Once it is done, you can use the scan image feature also to fit exactly the desired position. The selections of the watermark you made will be displayed as a short summary carrying the information of: Selected Option, Number of PDF files, Color Transparency, Color, Text, etc. The demo version of software is available for free download. It helps you to get familiar with the execution of the software which helps to know the features and steps of running. This also helps to run the full version smoothly. Once you are satisfied with the demo version and software functionality, you can purchase full version to avail full benefits of the software. This full version has no limitation on any feature and lets you save the PDF file with the desired watermark applied to it. To know more about the licenses of the full version or any query, you can contact the support team available 24x7. Can I make image as a watermark to my PDF files? Yes. Our software is capable to put both Text and Image as a watermark in your PDF file. Is it possible to put a watermark in other file formats? No. Software will only apply watermark to PDF file format. Can I add a watermark to multiple PDF files at once? Yes. You can insert watermark to several PDF documents using this tool. I have Adobe Reader 11.0 in my system. Will this software run in my system? Yes. Software supports all the versions of Adobe Reader including 11.0. Will the watermark stamping affect any technical property of PDF file? No. You will get the PDF file as it is with a watermark stamped on it. But yes there will be a slight change in the size of PDF as the watermark will be applied. "I never knew that it is possible to put a watermark on PDF files so easily. Thankfully, I got to know about PDF Watermark Tool from one of my friends. It is amazing and has foolproof results." "Provision of demo version helped me a lot and convinced me that I'll be able to execute the software full version despite of being a non-technical person. Interface too is very helpful and guides very well. Thanks for the service!" "Copyright protection for my PDF files was an urgent need as my project needed me to send some copies to clients. In such deadline of work I never wanted to take chances with any random tool and luckily got the best one in first attempt. Thanks!" "A genuine thanks to the developers of this innovative PDF Watermark software. It is extraordinary in its performance and very easy to operate. A special thanks to the support team which helped me with my queries!"